Metalworking. 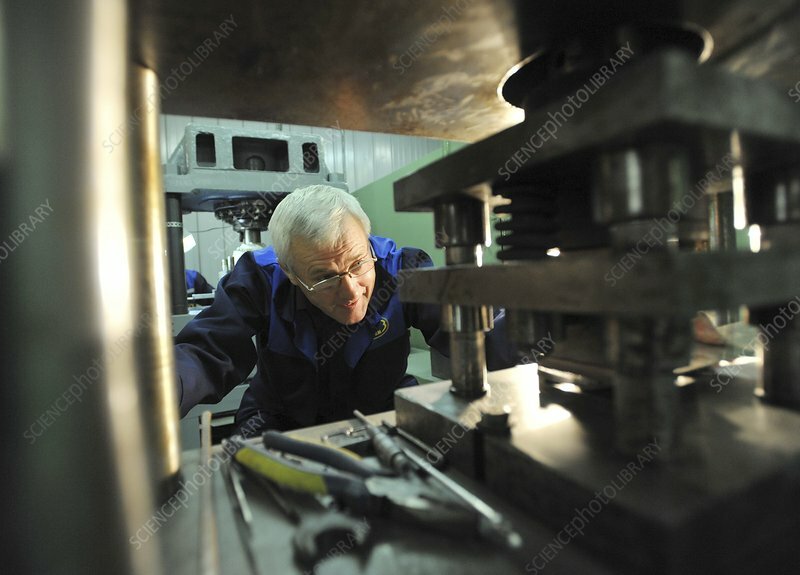 An engineer servicing a hydraulic press at a non-ferrous metals processing plant. Photographed in Yekaterinberg, Russia.